Everyone in the world knows about something in more detail than you do. Making the effort to connect with people is a chance to extract information and learn new things. On the street, in a coffee shop, on a plane – opportunity is everywhere… That person in the seat next to you? He or she could become a friend for life. On this episode of People of Purpose, Johanna speaks with Vince Frost about his latest book “Design Your Life,” published in Australia by Penguin’s Lantern imprint. Vince shares insight on his career and life including how he learned to listen to his inner voice, how he bounced back from a career setback and why he’s designing better health into his daily being. Vince Frost is a globally recognised and awarded designer. 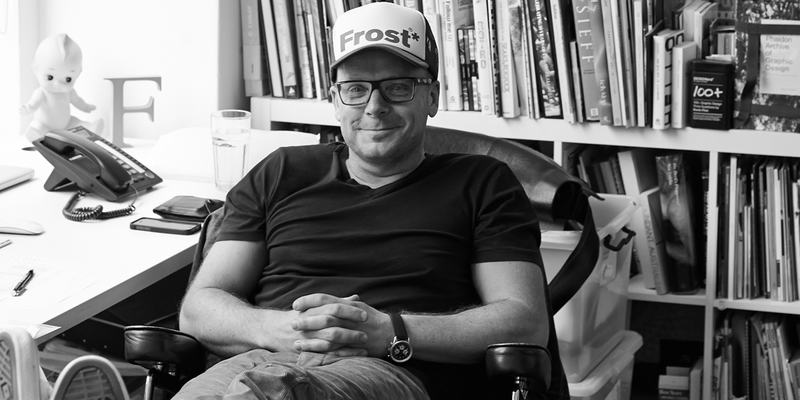 He is CEO and Executive Creative Director of Frost* Collective, an umbrella brand for three specialist design agencies in creative problem solving, branding, urban environment, and digital communications. He is a major player in the international design industry and has been recognised for his work with leading arts and cultural organisations, governments and blue-chip businesses. Vince invests heavily in education and collaboration in the local design scene, with monthly deFrost* talks featuring thinkers and achievers. In 2006 he – and his award winning work — were the subjects of a retrospective exhibition at the Sydney Opera House. Vince believes that design is fundamental to every aspect of our existence, which inspired him to create his most recent book: Design Your Life.